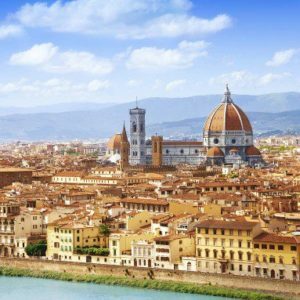 The Renaissance in Tuscany, an unmissable cultural itinerary. 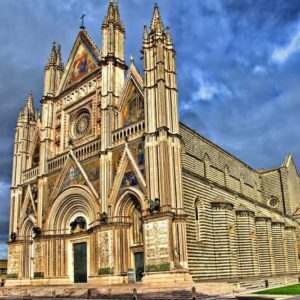 Meeting point of the participants in the agreed place and departure by GT bus to Orvieto, visit of the city: the cathedral, the historical center, St. Patrick's well . Packed lunch is charged by the participants. In the evening arrival in Montecatini Terme, accommodation in reserved rooms, dinner and overnight stay. Breakfast at hotel, departure for Florence and visit of the city: Piazza Duomo, with the Cathedral and Brunelleschi's Dome; Giotto's Bell Tower and the Baptistery; Old Bridge; Piazza della Signoria; Piazza and Palazzo Pitti; the church of St. Croce; the Accademia Gallery, visit to the renowned David by Michelangelo; the Bargello Museum, visit to the David of Donatello. Lunch. A visit to the Uffizi, the Museum of St. Maria Novella or the Archaeological Museum are recommended. Last stop at Piazzale Michelangelo from which you can enjoy a wonderful view of the city. Return to the hotel, dinner and overnight stay. 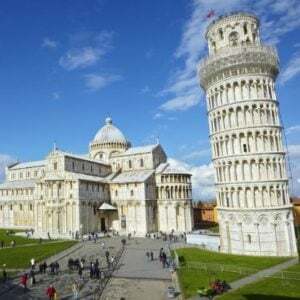 Breakfast the hotel and transfer to Pisa to visit the Piazza dei Miracoli: the Cathedral, the Baptistery and the exterior of the Leaning Tower. Lunch. Departure for Lucca, a beautiful and lively Tuscan city where you can visit the superb Romanic Cathedral, the walls and the historic center. Return to the hotel in the evening, dinner and overnight stay. Breakfast the hotel and departure for Siena through beautiful and intact medieval villages. 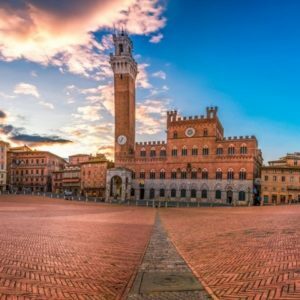 Arrival in Siena and visit to: Piazza del Campo, Palazzo Pubblico, the Cathedral and the Baptistery. Lunch. In the afternoon transfer to San Gimignano, a picturesque medieval village that still maintains the typical features of the period with towers, monuments and art treasures. In the evening return to the hotel, dinner and overnight stay. Breakfast at hotel, release of the rooms and departure for the return. 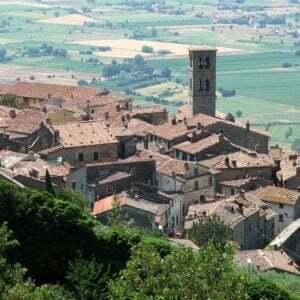 Stop in Cortona for a visit to the historic center and the Cathedral, an optional visit to the Etruscan Museum. Lunch. In the afternoon, continuation of the trip for the transfer in airport.